Look, it was Thanksgiving Weekend and I thought, do a whole lesson? I mean, the truth is, most of you are burned out at this point. Most people are on vacation. Christmas is just around the corner and you can fill in stuff about the birth of Jesus, right? 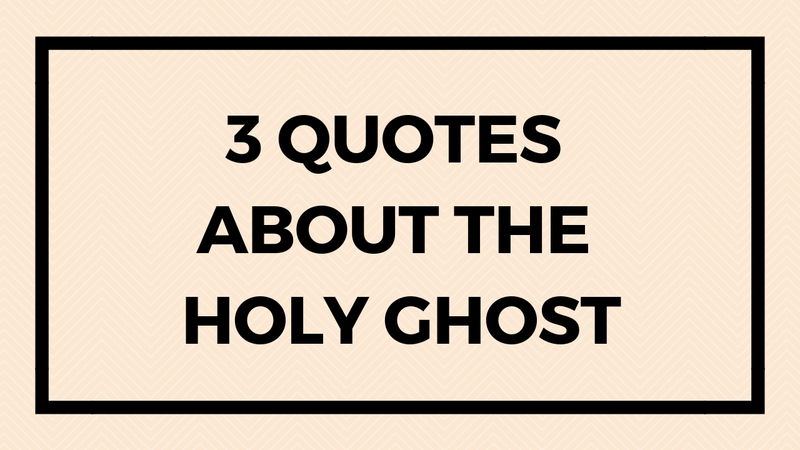 Well, so, anyway, I did this short video that includes 3 quotes that I really like about the Holy Ghost. You may have already heard them. Listen and see if you get any new insight into the Holy Ghost…. This entry was posted in Gospel Doctrine Helps and tagged 3 Quotes about the Holy Ghost, gospel doctrine, gospel doctrine helps, Holy Ghost on November 26, 2018 by admin.